Karen has a way with words that tend to draw me emotionally, intellectually and most of all Spiritually to the characters and I forget I'm reading FICTION. Karen's work is the style and type that would be appropriate for Young Adults as well as the seasoned or matured adults - notice, I managed to stay away from that dreaded S.C. term. This is the stuff romance is made of, the story that could easily depict that of one of your own ancestors. FOR AN OPPORTUNIITY TO WIN THIS BOOK AND BE PREPARED FOR THIS BOOK TO WIN YOUR HEART AS IT HAS MINE! Karen Witemeyer is a deacon's wife who believes the world needs more happily-ever-afters. 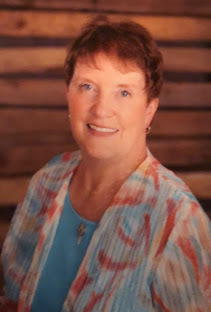 To that end, she combines her love of bygone eras with her passion for helping women mature in Christ to craft historical romance novels that lift the spirit and nurture the soul. Her debut novel, A TAILOR MADE BRIDE, published in 2010 is a 2011 RITA Finalist for BEST FIRST BOOK. Karen makes her home in Abiliene, TX with her husband and three children. Karen's second book, HEAD IN THE CLOUDS - published in 2010 soon followed the debut novel and this year Karen's new release, TO WIN HER HEART published in 2011 is another winner in this writer's book. What inspired you to write TO WIN HER HEART? Have you ever wished there was an epilogue to Jesus' parable of the Prodigal Son? I have. When I decided to write TO WIN HER HEART, one question prompted the plot development: What happens AFTER the father welcomes the prodigal son home? So often we focus on the wonderful homecoming the lost son received, but have you ever asked what life was like for him after the celebration was over? How did he relate to his bitter older brother or the servants and townspeople who were only too aware of his past arrogance and wild living? My story plays on those very questions. How did this inspiration lead to the development of our characters? First, I needed a prodigal. Enter my hero, Levi Grant. Raised by godly parents he turns his back on his faith and the blacksmithing trade of his father to prove his manhood and earn easy money through the wild life of a bare-knuckle brawler -- until one day something goes terribly wrong and he ends up in Huntsville state prison serving a two-year sentence. Through the traumatic abuse he suffers in the labor in the labor camps combined with the compassion he receives from the prison chaplain, Levi comes to a place of repentance and rededicates his life to the Lord. Our heroine, Eden Spencer, fulfills the role of the parable's older brother character. She has been disappointed by men in the past and has little tolerance of those who don't meet her high standards. She cannot abide violence of any kind and believes that elevating young minds through education and exposure to literature will help create a more civilized society. To this purpose, she opens a lending library in her home. 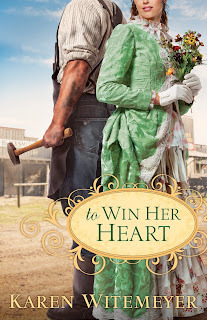 In an effort to make a clean start, Levi hides his past and Eden believes she has finally found a man of honor and integrity, a man worthy of the love her battered heart so wants to give. But when the truth about his prodigal past comes to light, our tarnished hero must fight to win back the librarian's affections. In your research, did you uncover any historical events or information that helped shape your story? In researching stone quarries, I ran across a tidbit that played a key role in determining time period and setting for my book. In 1881, the Texas state capitol building was destroyed by fire, and the Texas Legislature decided that when they rebuilt, they would use only materials native to the state. They initially chose limestone, as there was a quarry near Austin, but when iron particles in the rock led to discoloration, they elected red granite instead. The granite was obtained from Granite Mountain in 1885, and to cut costs, the state contracted convict labor for breaking the stone. The use of free--or almost free-- convict labor in the quarry, however, was seen as an attempt by the state to undermine the unions and was opposed by virtually every organized labor group in Austin. Hence, word spread throughout the region about the controversial labor force. This historical event allowed me to supply my hero with quarry experience during his incarceration, but with a project that was so well known for using convict labor, that it could easily expose his past should anyone learn of his involvement. I couldn't have asked for a more perfect scenario. Are there elements of your own personality that influenced your characters? I incorporated my love of fiction into both my main characters. Levi accidentally develops a love of literature when he takes a teacher's advice to expand his vocabulary through reading in order to mask his tendency to lisp. Eden, on the other hand, grows to love books because of her relationship with her father. The two of them would often pass and evening discussing plots, themes, and social ramifications of the books they read. It was a tradition she treasured. I've loved to read my entire life, and part of the appeal was the pleasure I found in imagining myself to be someone else--someone daring, outspoken, and beautiful-- instead of the shy, nerdy girl who would rather eat spinach than talk to someone she didn't know. And like Eden's time with her father, I experienced a similar sharing with my dad, although it was with music instead of books. Dad and I would sit and sing hymns together on the Sunday mornings he was scheduled to lead singing at our church. I loved those mornings. They helped shape who I grew to be. And since I married a man who loves music and leads singing, I followed Eden's pattern by falling love with a man who can share the same things with me that I shared with my dad. What is the take-away message you want readers to receive after reading your book? The underlying theme of this book is one of forgiveness and of learning to view others through God's lens instead of our own. Just as Jesus encouraged the Pharisees to only cast a stone if they were without sin, we must learn to set aside our self-righteousness pride in favor of mercy and forgiveness. It is human nature to keep records of wrongs and to view others through our won hurts and prejudices. And while our God is certainly concerned with justice, when one of his children repents, his mercy and forgiveness knows no bounds. We must learn to exhibit the same grace to our brothers and sisters in Christ, extending them the mercy we ourselves would wish to receive. After all, love keeps no record of wrongs. I do a little of both. I am a detail-oriented person, so I need to have a clear direction in mind before I set out to write a story. This usually means several weeks of research and brainstorming as I plot. I need to know the inciting incident, the climactic conflict at the end, and a handful of pivotal events along the way. I write out a detailed synopsis that can be anywhere from 5-10 pages, containing not only the main plot points, but key aspects of characterization for my hero and heroine. I do not make extensive outlines, however, or plan out individual chapters. Once I have that general synopsis in place, I type CHAPTER ONE and let the story evolve from there. Tell us what new projects you're working on. I'm currently working on my fourth historical romance for Bethany House. The working title is SHORT-STRAW BRIDE. Four brothers draw straws to see who will marry the heroine in this twist on a marriage of convenience story. All Travis Archer cared about was his brothers and his land, but when a good deed goes awry, he's stuck with a bride who endangers both. One tidbit about the brothers in this story -- they are all named for heroes from the Alamo. Travis is the main character, the next oldest is Crockett, the kid brother is Neill (for the Alamo's commander who missed being at the fight because of a family illness that called him away), and the third brother's given name is Bowie, but he refuses to answer to anything except Jim. I don't blame him. Poor guy. What we authors do to torture our characters. this has been an eye-opening experience -- meeting you and your characters up close and personal. It's also been enlightening in seeing how your stories come about and are developed. Thank you so much for your kindness and for your forthcoming information about your memories with your own father and how you were able to incorporate that into this wonderful book. Where can readers find you on the WEB, Karen? I'd love to have you visit me at my website: www.karenwitemeyer.com I host a monthly giveaway of historical Christian novels from a variety of well-known authors as well as post interesting tidbits about my characters and the research behind their stories. You can also find me on Facebook. Send me a message sometime. I'd be honored to chat with you. I'd be honored to be an influencer & reviewer for your next book if I might be so privileged. I have read each of your books and I can honestly tell my readers that each has been such an enjoyment and yet a learning experience that I refuse to give them away -- instead they have a place on my - KEEPER SHELVES - in my own personal library. Like the character, Eden, in your TO WIN HER HEART, I developed a real love of books and reading through my dad. He would read aloud to my mother after all seven of his children went to bed, and living in a huge old farmhouse the upper story had register gratings open from the lower floor to the upper in order for heat to rise and warm our rooms. It enabled us to hear the westerns and love stories that my parents would read to each other before retiring each night. Something I've never forgotten and have always cherished. Thank you so very much for coming. I am going to be bringing you and TO WIN HER HEART back the second week in June and will be giving away a copy I purchased for that purpose. I'm keeping mine! 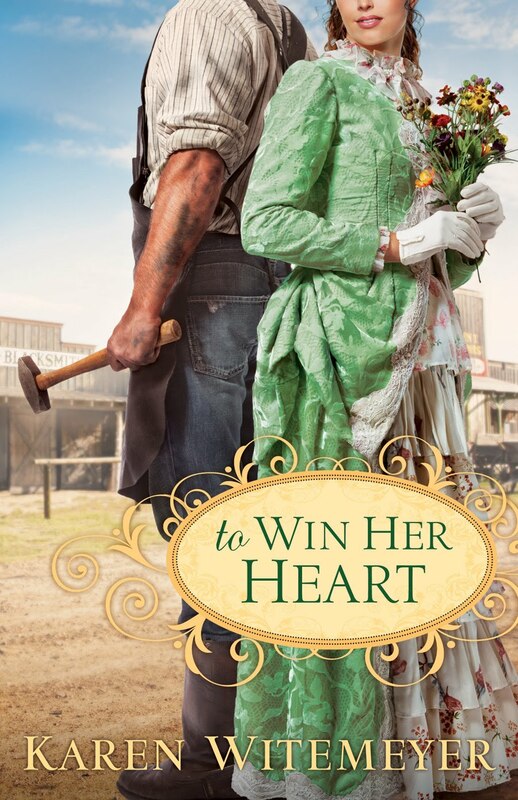 Be sure to get TO WIN HER HEART, and if you want to get one for a gift, come back the second week of June and comment on the SPRING~BLOG~FEST and be entered in the drawing to WIN a copy of TO WIN HER HEART! Wonderful interview! It's great fun to learn more about authors - very inspiring! Hello, Karen - another Karen - how great is that?! Just had to do that! Seriously, Karen Witemeyer is one author I've been privileged to get to know her on a deeper level by doing this interview with her. I appreciate your visit AND your comment this morning. Be sure to return for upcoming posts on other great authors. Karen, congrats on your new book! I can't wait to read it! ALERT: The week of June 14th Karen's book will be in a drawing here at Joy's JOY~FUL JOURNALING - come by again with your email address for an opportunity to win. Thank you, Joy, for making this interview available to us! Karen, add me to the list of people who can't wait to read this book! You are so welcome - and welcome back as soon as you can come to see the upcoming authors/new releases that will continue through out the month of May. You might be interested in knowing Karen's book will be up for a drawing June 14th-20th as I do a SPRING~BLOG~FEST SUMMARY for each author featured on my blog through all of April and May. I will need a comment with your email addy included in order for you to go into the drawing that week (only that week for Karen's book).